If your area is not listed feel free to contact us anyways – what does it hurt? The sparkling Rainbow Springs is not the only thing sparkling in Dunnellon, FL. Whether you’re spending a few hours floating down the river or you’re enjoying the park and fishing, Dunnellon provides a great small-town atmosphere that you’re sure to love. 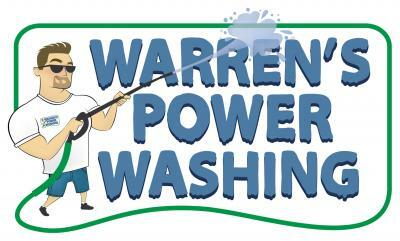 One way to keep Dunnellon sparkling is by utilizing the outstanding services of Warrens Power Washing. Warrens has been in business serving the Dunnellon, FL and surrounding areas for years and is ready to help your home sparkle and shine just like it was brand new. From the beautiful Crystal River to Three Sisters Springs, Citrus County is beaming with clear water and amazing sights such as the annual migration of the manatees closer to shore. Amazing seafood and unique shops line the streets in the area and it is a great place to call home. When you live in an area such as Citrus County, you will face issues such as mold and algae that can detract from the look of your home. One way to combat that is with the amazing Citrus County pressure washing services offered by Warrens Power Washing. Beautiful weather, amazing location, and more await in the Citrus Springs area of Florida. When your home is ready for some sprucing up or you need your pool ready for the season, it’s time to call Warrens Power Washing services to assist you. As horse capital of the world, Ocala, FL is a beautiful city full of rolling farm land and friendly people. Along with the beautiful scenery comes the humid weather that can wreak havoc on your Marion County home. It is very important that you take care of your home with the low-pressure power washing services provided by Warren’s Power Washing. With years of experience and tried and true methods on their side, our team is ready to take care of any pressure washing needs you may have.